One of the characters in our movie Moundsville (which you can watch here) is glassmaker Fred Wilkerson, Jr. (pictured above, on the right) who talks about his deep roots in the area and the closure of Fostoria, once one of the town’s main employers. The amazing backstory of how his small glass manufacturing firm got started didn’t make it into the final version of the movie, so I want to tell it here. It’s one of my favorite stories I’ve ever encountered as a reporter, all about pride, work ethic, self-reliance, stubbornness and American ingenuity. Fred’s dad, Fred, Sr. (left), worked for Fostoria Glass for 30 years. After it closed, and he lost his job, in the 1980s — because of imports, consolidation and people eating more off plastic and paper plates — he opened his own artisanal glass shop, in a barn of his house off a winding West Virginia country road outside of Moundsville. 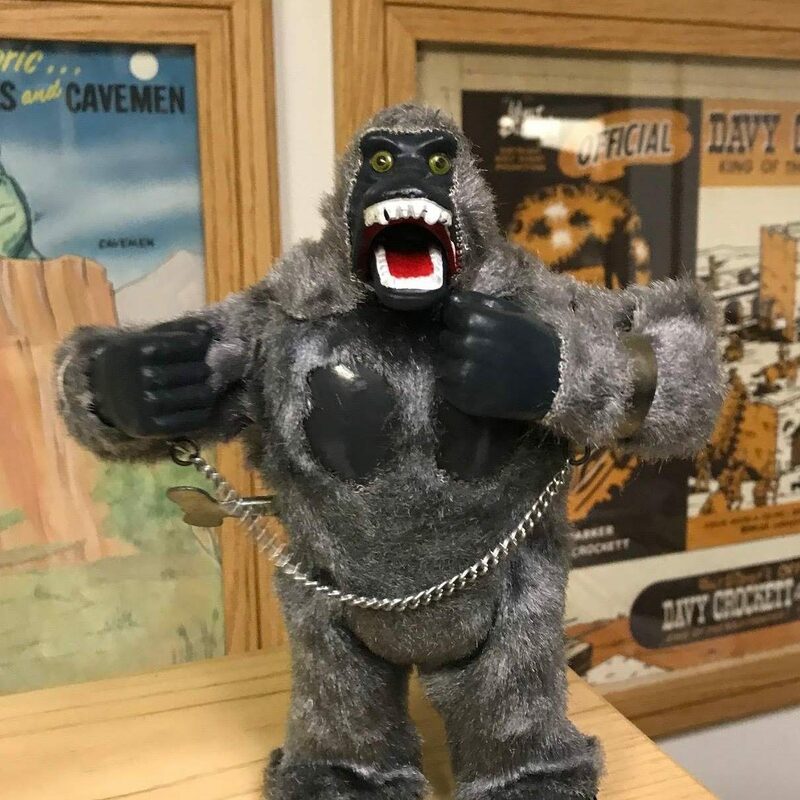 It focuses on making paperweight, and sells to customers in the US and around the world; it’s also done contract work for Owens Corning and Danbury Mint, and even the White House. You can learn more about the Wilkersons and buy their glass here. What Would Barbara Tuchman Say? Our panicky short-attention span era could use Barbara Tuchman. For younger readers, Tuchman (1912-1989) was, arguably, the 20thcentury’s greatest popular historian. Her books about World War One, the Middle Ages, Israel, China, and the American revolution were paperback staples on the bookshelves of people like my baby boomer parents. Tuchman won two Pulitzers. When I was a book-gobbling teenager, my dad told me to read her, and I did. Beyond commanding the stories of different ages, Tuchman was a deep and refreshing thinker about the current events of her day, like Watergate and Vietnam, the news in general, and her dancing crafts of writer and historian, as I rediscovered this week when I dug back into some of her books, to prepare for speeches this spring to students, teachers and union organizers about Moundsville, and related questions about journalism, perceptions of history and public discourse. What’s so enchanting about Tuchman is that her imagination and prose match her command of the facts, and that she seems to never fall into easy generalizations, ideological traps, or nostalgia. Persistence of the normal. If you’re looking for refuge from spiraling news madness, take a deep breathe and meditate on that one. In her forward to A Distant Mirror, her classic account of 14thcentury France, Tuchman reminds us that “No age is tidy or made of whole cloth” and that breakdowns and rebirths are normal. When the gap between ideal and real becomes too wide, the system breaks down. Legend and story have always reflected this; in the Arthurian romances the Round Table is shattered from within. The sword is returned to the lake; the effort begins anew. Violent, destructive, greedy, fallible as he may be, man retains his vision of order and resumes his search. I do not feel like a Non-something; I feel quite specific. I wish I could think of a name in place of “Nonfiction.” In the hope of finding an antonym I looked up “Fiction” in Webster and found it defined as opposed to “Fact, Truth and Reality”. I thought for a while of adopting FTR, standing for Fact, Truth and Reality, as my new term, but it is awkward to use. “Writer of Reality” is the nearest I can come to what I want, but I cannot very well call us “Realtors” because that has been pre-empted—although as a matter of fact I would like to. “Real Estate”, when you come to think of it, is a very fine phrase and it is exactly the sphere that writers of nonfiction deal in: the real estate of man, of human conduct. I wish we could get it back from the dealers in land. Then the categories could be poets, novelists, and realtors. This is what Monet does in one of those shimmering rivers reflecting poplars, or El Greco in the stormy sky over Toledo, or Jane Austen compressing a whole society into Mr. and Mrs. Bennet, Lady Catherine, and Mr. Darcy. We realtors, at least those of us who aspire to write literature, do the same thing. Lytton Strachey perceived a truth about Queen Victoria and the Eminent Victorians, and the style and form which he created to portray what he saw have changed the whole approach to biography since his time. Rachel Carson perceived truth about the seashore or the silent spring, Thoreau about Walden Pond, De Tocqueville and James Bryce about America, Gibbon about Rome, Karl Marx about Capital, Carlyle about the French Revolution. Their work is based on study, observation, and accumulation of fact, but does anyone suppose that these realtors did not make use of their imagination? Certainly they did; that is what gave them their extra vision. Applied to history, quantification, I believe, has its limits. It depends on a method called “data manipulation”, which means that the facts, or data, or the historical past—that is, of human behavior, are manipulated into named categories so that they can be programmed into computers. Out comes – hopefully – a pattern. I can only tell you that for history “data manipulation” is a built-in invalidator, because to the degree that you manipulate your data to suit some extraneous requirement, in this case the requirement od the machine, to that degree your results will be suspect – and run the risk of being invalid. Everything depends on the naming of the categories and the assigning of the facts to them, and this depends on the quantifier’s individual judgment at the very base of the process. The categories are not revealed doctrine nor are the results scientific truth. The eager electronic optimists will go on chopping up man’s past behavior into thousands of little definable segments which they call Input, and the machines will whirr and buzz and flash its lights and in no time at all will give back Output. But will Output be dependable? I would lay ten to one that history will pay no more attention to Output than it did to Karl Marx. It will still need historians. Electronics will have its uses, but it will not, I am confident, transform historians into button-pushers or history into a system. As we push back against the temptation to do nothing but harvest data and wait for Output, reading Tuchman is a reminder that there is a persistent path to normal in writing and reading, and sober tellings of the paths that have led us here. American’s national crisis hinges in part on how hard it is to accept this time of change. We want progress without pain, transformation without torpedoes, and turnover without stuff we like getting turned over. The resistance brakes support for turning the page, blinds us to what’s ahead, and makes us vulnerable to fantastic promises, and offerings of utopia. America chooses capitalism, engine of creativity, consumption, construction—and destruction. When the latter gets creative in our backyard, we act shocked. But, as diner denizen Bill Wnek points out in Moundsville, the whole point is to shut down the hometown factory “if you can get it cheaper somewhere else.” Our journey making Moundsville has led us on a close study of this fact. Few places have been rocked by creative destruction and global trade harder than West Virginia. The state wants badly to flip the script. I was thrilled this past weekend to discover Reckonings, an elegant, subtle book of poetry by Ryan Walsh, just published by Baobab Press. The collection of 38 poems, divided into four parts, tackles Walsh’s West Virginian childhood, meditations on Appalachia, and hopes for the future. (You can buy the book here.) At a packed launch at White Whale bookstore in Pittsburgh, Walsh read, preceded by acclaimed West Virginia novelist Ann Pancake. An exciting evening of homegrown Appalachian literary buzz. The 37-year-old Walsh grew up in Elkins, WV and near the zinc plant in Spelter, WV where his grandfather worked for 28 years. After living in Michigan and Vermont, he landed in Pittsburgh as a fundraiser and communications director for Grow Pittsburgh, a non-profit that fosters gardening in the city. In a phone interview, Walsh says he hopes for West Virginia to remake its economy in a more sustainable way. “Industry is what people know, so it’s easier to wish that back than to do the hard work of creating something new,” he says. His book of poems traces an arc from factory days and a childhood among the trees, free of phones and screens, to a new century of hopeful environmental activism, technological makeovers, and reckoning with America’s changing place in the world. (no more factory, no more hill). Grand and silent as a church. I couldn’t help but touch. We raced bikes over raising dust. by brick then brought down the shell. will do this for even less. Walsh says he got interested in chronicling his childhood in industrial Appalachia in part after chemical company DuPont, which had owned the zinc plant, paid a cash settlement and offered medical monitoring to people who had lived near the plant, where his grandfather had worked. In the end, the battle is for acceptance — of that more prosperous, more polluted past, and reality as it is today, with all its hope and desolation — and for dreams of a better future. In 1983, cult leader, musician and serial murderer Charles Manson was in California state prison when he wrote to the warden of the West Virginia state penitentiary in Moundsville, requesting a transfer there. This is one of the stories about the prison that paranormal collector Steve Hummel tells in our movie, Moundsville (which you can watch by ordering here) and it’s a popular one in town. Manson, who died in 2017, was born in 1934 in Cincinnati to a 16-year-old girl, Kathleen Maddox, who went on to live a life of petty crime. Charles’ youth was spent bouncing around West Virginia and Kentucky, including long stretches in McMechen, a small town near Moundsville in Marshall County. Locked up in 1971, for seven murders, including that of actress Sharon Tate, he requested to be moved to West Virginia. Warden Donald Bordenkircher declined, telling the United Press International that it would be a “a cold day in hell” before he admitted Manson. So why the fascination in town with the Manson anecdote? “We don’t have too many celebrities associated with this area,” says Steve, listing baseball player George Brett, singer Brad Paisley and the writer Davis Grubb. Maybe, I suggest, a small town yearns for any connection to the wider world. Steve agrees. Pittsburgh, PA– United Steelworkers Local 3657 will screen the documentary film Moundsville for its members, the international union’s technicians, auditors and administrative assistants, over two days, March 20 and 21, 2019 and host a conversation with co-directors John W. Miller and David Bernabo. Moundsville is the economic biography of a classic American town, from the prehistoric burial mound it’s named after, through the rise and fall of industry, to the age of WalMart and shale gas, and a new generation figuring it all out. Told through the voices of residents, the story covers an arc that includes Moundsville’s Native American origins, white settlement, Marx toy plant (it made Rock’em Sock’em robots), legendary prison, first African-American mayor, post-industrial decline, and current small businesses. The constant is the 2,200-year-old mound left behind by a Native American people, a Greek chorus reciting time’s insistence on change. By reckoning with deeper truths about the heartland and its economy, without nationalist nostalgia, liberal condescension, stereotypes, or talking about Trump, Moundsville plants seeds for better conversations about America’s future. USW Local 3657 represents the technicians, auditors and administrative assistants employed by the United Steelworkers international union to support and serve its 1.2 million active and retired members in the United States, Canada and the Caribbean. Members are located throughout the country in district offices and at the USW International headquarters in Pittsburgh. Improving the way we individually communicate about important issues with the members we serve as well as each other will only strengthen our collective voice and make us more effective advocates for fairness, equality and dignity for all workers. Pittsburgh, PA—Row House Cinema (4115 Butler St, Pittsburgh, PA 15201 in Lawrenceville) will show Moundsville on Sunday, March 17 at 4 pm. Filmmakers John W. Miller and David Bernabo will make a short presentation before the 75-minute movie. See www.moundsville.org for trailer, info, and options to rent/buy. Moundsville, which has been shown in New York, Pittsburgh and Moundsville, and is available to rent or buy online, is the economic biography of a classic American town, from the prehistoric burial mound it’s named after, through the rise and fall of industry, to the age of Walmart and shale gas, and a new generation figuring it all out. Told through the voices of residents, the story covers an arc that includes Moundsville’s Native American origins, white settlement, Marx toy plant (it made Rock’em Sock’em robots), legendary prison, first African-American mayor, post-industrial decline, and current small businesses. The constant is the 2,200-year-old mound left behind by a Native American people, a Greek chorus reciting time’s insistence on change. By reckoning with deeper truths about the heartland and its economy, without nationalist nostalgia, liberal condescension, stereotypes, or talking about Trump, Moundsville plants seeds for better conversations about America’s future. Row House Cinema is a single screen theater in the historic Lawrenceville neighborhood of Pittsburgh. Each week it selects a new movie theme. Its concession stand features natural popcorn with real butter & pure sea salt. In addition, it sells tasty chocolate popcorn, craft beer, locally made ice cream, pepperoni rolls, hot dogs, popsicles, coffee, tea, as well as vegan options. I went to see Deborah and James Fallows last night at City of Asylum, a marvelous literary non-profit, restaurant, event space and bookstore on the North Side of Pittsburgh. While we were making Moundsville last year, I bought and read the Fallows’ book Our Towns: A 100,000-mile Journey Into The Heart of America. It’s the result of dozens of trips they took to American towns, including Pittsburgh, between 2012 and 2017, in a single-engine prop plane. Their mostly two-week stops included bigger post-industrial towns like Erie, PA; Louisville, KY and Columbus, OH; Southern outposts I’ve never heard of like Demopolis, AL, Starkville, MS, and Greer, SC; and Western communities like Rapid City, SD, Bend, OR and Riverside, CA. What inspired me most reading the book was their basic approach to reporting, which Dave and I were slowly figuring out in our parallel Moundsville adventure. We usually begin our visits talking about dollars-and-cents topics – how the economy was doing, whether businesses were moving into downtown or away from it, how the schools were funded and how well they were preparing students for opportunities in the area or beyond. It’s what Dave and I ended up doing while making Moundsville, mostly because our questions about national politics yielded such predictable, cliché answers. The stories about people’s lives, jobs and families were the ones with depth and heart. Our Towns is a rich argument for assessing the reality of the current moment, grieving the past when necessary, and then getting on with it. The Fallows’ don’t pretend to have the policy answer to how to rebuild the middle class out of an economy currently based, in many places, on $10ish-an-hour services jobs. There are no utopias. Change happens slowly, and it starts by acknowledging the truth of people’s lives, and by cheering their successes, as loudly as possible. It’s the only way to avoid the traps of fantasy and nostalgia, and their dire political consequences. After our current Gilded Age, the national mood will change again. When it does, a new set of ideas and plans will be at hand. We’ve seen them being tested in towns we never would have suspected, by people who would never join forces in the national capital but who work together “at home.” Their projects, the progress they have made, and their goals are more congruent than even they might ever imagine. They have, and care about, a community college. And this: People know the civic story. The future of Moundsville the town is unclear to me. After all, it doesn’t have a community college, or a big employer promising a future of good middle-class jobs. Like a lot of places, it’s been getting progressively poorer. There is hope, but not all towns will last forever. 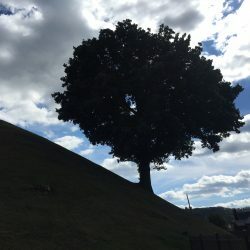 What Moundsville does have is a great story, and our goal in making the movie, like the goal, I think, of Our Towns, was to show that the way forward for all of us is to tune out the other stuff and give depth and dignity to the true story of every place. This can’t be happening often enough. Moundsville DVDs Now For Sale! After releasing Moundsville online, and screening the movie at theaters throughout the region, we’re issuing a limited edition DVD. The price is $15. If you’re interested in buying a few for reselling, message us on the contact form. The DVD comes in very nice box and includes the movie and some bonus material. You can order it by mail here. Emmitsburg, MD—Mount St. Mary’s is showing Moundsville, co-directed by John W. Miller (C’99). The movie will be shown on Thursday, March 14 in Laughlin Auditorium in the Coad Science Building at 7:00 pm. Filmmakers John W. Miller and David Bernabo will take questions after the 75-minute movie. Admission is free and open to the public. When Americans Took to the Rails to Find Work, Inspiring Books and Songs; Some Vets Became Hoboes to Cope with PTSD. From the spread of railroads in the 1870s until the suburbanization of American life in the 1960s, millions of Americans took to the rails. Although boxcar life acquired a romantic whiff of freedom, it was a difficult, dangerous life, and illegally riding train cars had a practical purpose: Most hoboes were itinerant workers, traveling until they found the next job at a mill or in a field. Most hoboes were men, although an estimated 5%, including Cora D. Harvey, who became secretary of the International Brotherhood Welfare Association, were women. Some, like Railroad Bill and Hobo John, became legends, inspiring a genre of magazine article, books and songs. Hoboes were a large enough class of people that their plight became wrapped in wider labor struggles in the decades before World War Two. Unions, like the Industrial Workers of the World, organized them. The first popular recording of the hobo anthem “Big Rock Candy Mountain” was made by a former IWW activist named Harry McClintock. The community even had a newspaper, Hobo News, published by James Eads How, the heir to a railroad fortune who became a socialist and himself lived as penniless itinerant. In the painting featured here, John is bringing an ear of corn to the town’s hobo camp. By that time, cars were pushing railroads into decline, and the hobo community dwindling. But for a number of men, the lifestyle, even if often hard and lonely, provided community and support. One was Mowder’s uncle, also named John. He had served in World War Two, was part of a troupe of veterans who helped each other as they wrestled with post-traumatic stress disorder from the anguish and suffering of the war. In the 1950s, they often hung out in Moundsville, Mowder says, and he ran errands for them.